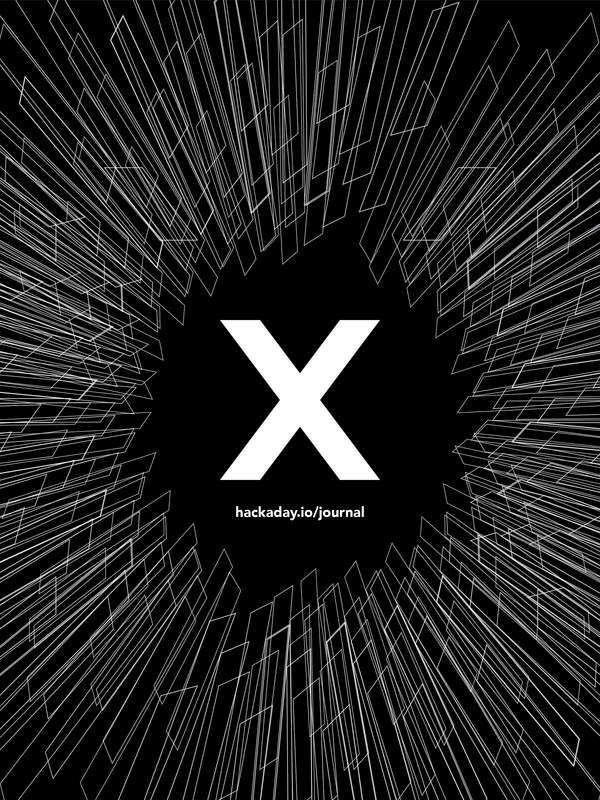 Hackaday Journal of What You Don&apos;t Know, an open-access, peer-reviewed online journal publishes original and creative research, engineering and entertainment results in the areas of interest to the Hackaday community. All articles of HJWYDK are fully open access and available to readers free of charge. Accepted manuscripts are published online immediately and printed in the annual Proceedings of the Hackaday Superconference. Follow and/or request to join the project if you&apos;re interested in submitting an article, being a reviewer or just curious. Citations should reference prior work that the reader needs in order to understand the current work, and nothing more. Cite when you are building on the data or conclusions of a previous paper, and cite when your methods are not obvious and the cited paper explains them in detail. Cite when the wording or presentation of an idea might lead the reader to conclude that you had the original idea, but it&apos;s preferable to get around this by using different wording. Don&apos;t cite anything that can be found in a textbook, being common knowledge. The introduction (or background) can have a cite or two that gives an overview of the problem statement, but generally speaking these should refer to textbooks and not other papers. You can break any of the rules if you feel there is a good reason to do so, and citations are no exception. If you feel that something is particularly significant and should be referenced in your paper, or that a cite is needed for some specific reason, then feel free to do so. In general, if you have more than a dozen cites you should review them carefully to see if all are truly needed. It is perfectly acceptable to have a paper with as few as four cites, and if you are doing something particularly creative you might have no cites at all. Feel free to add your suggested changes either to the comments section on this page, or, if you&apos;re a project member, update this page directly. Simon Merett had a great idea of creating a "request list" feature, where people could submit ideas/topic proposals for white papers to be written on. It could also be an opportunity for teams to be formed and write the paper jointly. So we&apos;ll use this page as the "master request/idea list." Feel free to submit your ideas directly to the comments on this post or edit the post itself if you&apos;re a project member (just make sure to retain this header). The Hackaday Journal of What You Don&apos;t Know (HJWYDK) is an open access, peer-reviewed online journal publishing original and creative research, engineering, and entertainment results in areas of interest to the Hackaday Community. All Articles of HJWYDK are fully open access open access and available to readers free of charge. 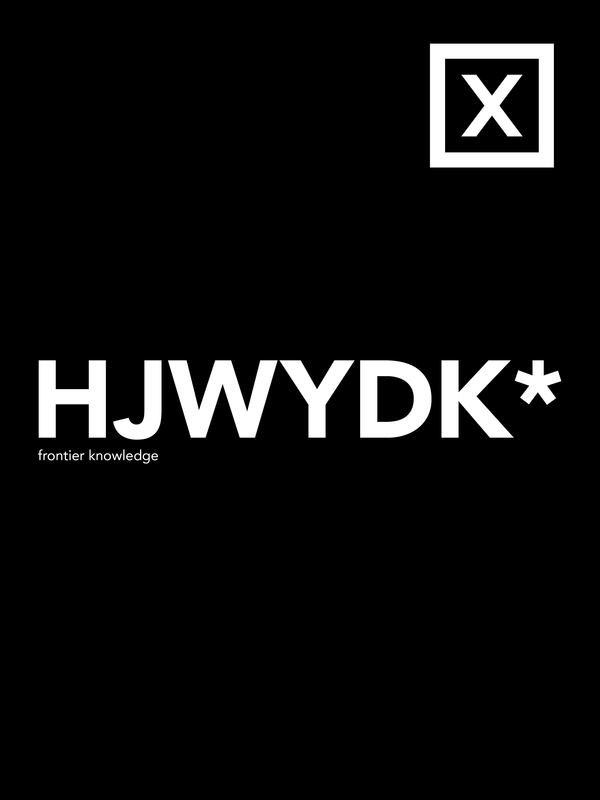 HJWYDK aims to provide a forum for sharing and exchanging ideas, experiences, and research results among the broader Hackaday community. We welcome submissions from individual researchers, professional organizations, academia, and beyond. General topics include, but are not limited to, Hardware, Computer, and Mechanical Engineering, Computer Science, Security Research, Engineering Heroics, Prototyping, Fabrication, Best Practices, and any unique knowledge of interest to the Hackaday community. The journal expects original, high-quality papers in all areas of interest for the Hackaday community. HJWYDK welcomes submissions at any time, and accepted manuscripts are published online immediately, as well as printed in the annual Proceedings of the Hackaday Superconference. The preparation and submission of manuscripts should follow the author guidelines. Alex: I don&apos;t know how "mainstream" you want this journal to be, but there&apos;s an article on the blog (link below) that would make a perfect scientific study of interest to hackers. The article is clearly written, has an introduction, experimental methods, and results. It&apos;s a little mundane for a mainstream publication, but it would be an excellent addition to a hacker journal. The article was written by a HAD editor - maybe suggest she write it up as a paper? Thanks for the suggestion, Peter! I have forwarded this idea to the editors. Is this project still alive? No paper since it started four months ago. The Science magazine has a new issue every week. I might have an idea for a paper, describing my low-cost Vectrex cartridge, with all the details, like using the configurable logic cell (CLC) of a PIC for realtime flash chip enable signal generation, with oscilloscope timing diagrams, and including a description of the programmer, using an ARM microcontroller with an USB port and how to program it with Eclipse, and a detailed description of the circuit with the required voltage level translators etc. But it would be mostly a compilation of best practices and what I did, and only engineering stuff, not any new scientific results. It is alive! The challenge with the peer review is that it takes a bit of time to build a pipeline before you can start producing issues at the regular pace, and we&apos;re still just getting started. That idea sounds great btw. We&apos;re not necessary looking for "new scientific results" but rather for novel ideas or implementations, and that seems to have quite a lot of it. So I&apos;d encourage you to write it up and submit. Cool. Do you have a LaTeX template that I can use? Some years ago I used LaTeX (an example: http://www.frank-buss.de/pi.tex , http://www.frank-buss.de/pi.pdf ) in combination with emTeX, but I guess nowadays there are better distributions (I&apos;m using Debian on my main development PC) and more modern templates and TeX/LaTeX libraries to use. But you wrote that you will convert it to LaTeX, so you might already have a template and would make it easier for you if I just use this. We don&apos;t have the official template, but setting it using the Science LaTeX template would be an excellent starting point. I read the linked article on crimping techniques (from the HAD article), and noticed the clarity and detail of the explanation. Connectors is something I have struggled with, but after reading the article I went on eBay and purchased a connector set and crimping tool, and now I can reliably make connectors for my projects. What struck me about the article is that it completely encapsulates something practical about making projects, that everyone is expected to know, but that no beginner knows to seek out that type of information. It&apos;s an example of "what you don&apos;t know". The iotexpert.com article content would be perfect for a wiki page of practical knowledge one needs for making projects. There&apos;s really no one-stop source for figuring out project making, in the sense of a directory or table of contents. You need to know that you need the skills beforehand, and then you need the right words to look up the skill online. For example, the recent article on making a surface mold from a filled part makes the entire process look simple. It&apos;s not something I would have thought of - it just came up randomly on Hackaday. If you want to promote the hacker community, how about a wiki that lists some of these really-good articles in a way that people could easily find what they are looking for, by subject? For example, there could be content sections on PCB making, enclosures, wiring and harness, packaging, billing, selling, and so on. Drill down to find sub-sections on using Kicad, sending to fab houses, home solder paste, home-built reflow ovens, and so on. The .IO format is good for individual projects, but it doesn&apos;t lend itself really well to indexing: tables of content, indexes, appendices, and so on. A wiki system, such as the MediaWiki of Wikipedia, would be ideal for this. It could be a one-stop destination for all the things you are expected to know, but don&apos;t know enough to ask about. How about starting a wiki for "all the things you don&apos;t know, and didn&apos;t know to ask about"? Will the published papers have a digital object identifier (DOI)? All the peer-reviewed journals I read and publish in do, and I find it really convenient. It strikes me that the video content is exactly what one needs for a paper: introduction, experimental methods, data, results, and discussion. There&apos;s even links (on the YouTube page) to purchase the materials and such. Scientifically speaking, it&apos;s well done. It&apos;s also useful information for hobbyists. I&apos;m also struck with its clarity and simplicity. Actual papers are high-concept and high end, but this experiment asks and answers a simple question using hobbyist materials. It is approachable and easy to understand. 1) Is this the sort of thing that HADJWYDK wants papers for, or do we want to be more in line with the existing journals (high end, and high concept). I&apos;m not on social media, perhaps someone else could feel him out and see if he would be willing to write our first paper? Hey Peter, this is a great example and could indeed be a great paper! Michael Ossmann has given talks at the Hackaday Superconference, so we&apos;ll reach out to him and see if we can get him to do a paper (he did quite a few for PoC | GTFO). Regarding the video - interesting idea but not sure how would that work in LaTeX. Worth exploring though. Is this a kind of Encyclopedia Galactica (see Asimov&apos;s Foundation)? I have no idea how papers work in academia, but I have a BS in EECS, and have 10 years of professional electronics or programming experience. I have absolutely no clue how to write down my project results in an academically acceptable format. We just didn&apos;t do that kind of stuff in undergrad, and I know many people way more adept at electronics than myself who have no formal qualifications at all. Can we get an article written that shows how to start with something such as a typical detailed hackaday project page, and transform it into something that won&apos;t be laughed at by academics? Hey Mark, so far we have been avoiding creating *the* template for papers because we want to stay flexible regarding the format, as we&apos;re looking at a very broad set of fields as well as author backgrounds. However, it feels like having a template might be useful for getting started if the author already doesn&apos;t have a preferred style, so we&apos;ll try to create something and post it here by the end of next week. Thanks! Idea: A list of "best practices" for writing papers. Some of these should stand in opposition to current journal standards, because there are deep problems there and we want to be better than them. I&apos;ll start, and feel free to discuss, modify, and enhance. Hey Peter - this sounds great, thanks! btw you&apos;re a contributor to this project so you can create a new page on this project or modify any existing one except for project name/summary and images (these can be only changed by the project owner). So though it&apos;s not a proper "wiki" - we should be able to achieve pretty much the same thing here. Anyway I have started a new page based on this post: https://hackaday.io/project/28128-hackaday-journal-of-what-you-dont-know/log/71618-best-practices-for-writing-papers - feel free to make any updates/changes there. thanks again! The idea of pushing for more publications to be freely available makes sense to me. I think setting such a policy for a fledgling paper will restrict the possible citations to a minority of the literature, which will in turn limit the value of the work we can offer ourselves. Policies that prioritize openly available citations might be possible, but this kind of strict limitation will probably do more harm than good imo. In writing papers, I always find that the hardest part is not the content, but the structure. I see under "Manuscript Preparation" that it mentions conforming to a template, yet I don&apos;t see a template anywhere. Knowing that many people who want to submit something may not have the first clue how to write a paper, I would suggest placing a template in the files section that people can download and fill in. The template should contain all of the formatting, including title page, TOC, headers/footers and relevant headings for generalized sections with helpful descriptions for how to morph the template to fit the project. It should also include reference section with helpful hints on how to include references and cite them. I also suggest using Open Document Format for submissions, and the template. I am a Master Teacher with the Center for STEM Learning at the University of Kansas. I taught high school for 8 years, during which time I created and oversaw a biotechnology program, was awarded several grants for various projects (the largest of which was the creation and equipping of a makerspace) and taught general & collegiate biology. I now am primarily responsible for teaching Research Methods to junior and senior STEM majors. I hold two degrees, a BS in Biology from KU and a Master&apos;s in Chemical and Life Sciences from the University of Maryland. In addition to bench biology work I am also an active maker. My most noteworthy project was the design and construction of a CNC laser built into my workbench from scratch. Other projects include a rotational CNC laser engraver, design and construction of a sensor-equipped bacterial culturing silo, and operation of an Octopi/FF Creator Pro 3D printer for modeling and equipment fabrication. I am most equipped to critique research design in manuscripts detailing experimentation. I also have expertise in life sciences and engineering. I don&apos;t expect it will be relevant often, but I am also highly experienced in education application. I love open source. I love peer review. I am eager to contribute. I&apos;m a scientist and long-time follower of the peer publication system (and its many flaws). One thing the existing system doesn&apos;t do is publish failures or studies that get no results. These are just as valuable to the scientific effort because they show people what has been tried, and the methods used in trying. For example, many chemistry papers are of the "show me" model: "we set this up, added these chemicals, and got *this* result." These are fine papers and valuable, but it would also be useful to see the ones that failed: "we set this up, added these chemicals (hoping to find something), and got nothing." There are many statistical studies where you take samples, and show that the average value is unlikely to come from chance, the infamous "p < 0.05". It would be just as useful to see papers where that *didn&apos;t* happen: "we took *these* samples, and found the average value is not particularly significant because random chance fits the data quite well, in this case p =0.35"
You could distinguish yourself quite well in the scientific community if you allowed these sorts of papers. Keeping the goals of practical impact and novelty intact, of course. The "publishing failures" idea is really interesting. One idea in the electrical/RF engineering realm I&apos;ve been toying with (haven&apos;t done much &apos;prior art&apos; research though) is shaping a ground plane in order to turn an antenna system from lobed/semi-directional into omnidirectional. It&apos;s a key subsystem of another project I&apos;m working on, and is likely to cause me a ton of heartache before I get anywhere meaningful. I predict I won&apos;t fully succeed before giving up, but I don&apos;t want my research to be lost. I am not sure if you guys accept majored chemists as a reviewer in this engineering journal, but I would love to be a part of this. I am an organic chemist who loves DIY and taught myself basic electronics as well as programming (Python, C and PHP). I like the idea of a peer-reviewed journal for Hackaday-type stuff. There&apos;s just one thing I&apos;m not understanding about this. I see nothing about paying the reviewers, who are putting in their time to do work for Hackaday, and therefore Supplyframe. Am I correct in the observation that you&apos;re a for-profit company asking for volunteer work? If so, can you justify why I should give my time to review papers for HJWYDK instead of starting a non-profit organization to run a similar journal without the sly goal of getting people to do labor for a for-profit company without compensation? Hey Clayton, this is an Open Access journal, and all articles are available free of charge. That is the whole point of doing an "Open Access" publication instead of the traditional academic publishing model, where editors/reviewers still do all the work for free, but publisher charges a fortune for access to accepted papers. It&apos;s a labor of love, inspired by PoC | GTFO and all the amazing talks at the Hackaday Superconference. Of course, everyone is more than welcome to start their own publication (and frankly if there was something like this out there already, we wouldn&apos;t be doing it), but the hard part is not starting, it&apos;s getting enough people to care to keep doing it. We believe that, with the scale of Hackaday community, we might be able to find enough other people that share our mission and help in making this work, hence this initiative. And if we don&apos;t, so be it. That said, the hard part probably won&apos;t be the reviewers (so many people have volunteered for this already, and we&apos;re incredibly grateful for it) - it will be getting quality submissions. The notion of "writing a white paper" is not as natural to us as it is, for example, in the Security community. So if anyone has ideas on how to catalyze this, it would be much appreciated! I&apos;d like to just quickly chime in and express my happiness about your PoC | GTFO reference. One of my favorite publications out there! And the guerilla nature of it is so charming. Let&apos;s hope HJWYDK (name seriously needs work, though I offer no alternatives yet) ends up equally as useful and charming. #Hackaday Journal of What You Don&apos;t Know can we have a request list? It would be the opposing and complementary idea to the "call for papers". I&apos;ve often thought that the HaD tips line could do with a request feature. We could use the Stack but perhaps a voting feature would help people know what would be most useful to work on and illuminate to the community. FWIW my first vote would go on how to DIY Laser Direct Structuring - PCBs that contour your 3D print or painted object. Great idea! I have created a new page for that purpose: https://hackaday.io/project/28128-hackaday-journal-of-what-you-dont-know/log/71026-requestidea-list . Feel free to add ideas in the comments or edit the post itself. Looking forward to seeing what comes by. Really need some academic institutions to get on board with this. Down with paywalls!!! If you are attending a University, do not post anything you are doing for school that has a faculty name on it without approval of your school. You could cause real problems for yourself. Add me to your list of reviewers, please. Build your own floating, self-sustainable ecological makerspace! Work to help nature, surrounded by nature! You are about to report the project "Hackaday Journal of What You Don't Know", please tell us the reason.